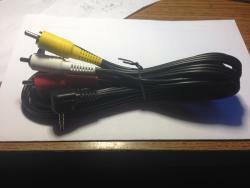 My DIY composite mod is $29 shipped in the USA and comes with cord. Info in my marketplace thread. You get the module and the cord. Solder 4 wires in place, drill one hole and trim a little metal on the shielding. PDF Instructions link in my Marketplace thread linked above. Pause Mod: The easiest way to view the image is click on it and then save the image to your desktop and then open it with a picture editor. This site doesn't seem to let you display images at their full size. 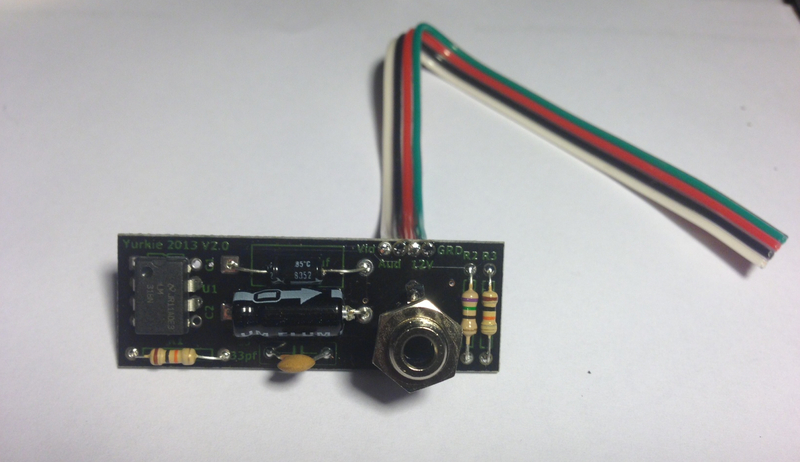 Also, note there is more than just 1 place you could solder the Audio Out line to in the link above. This is just 1 way to do it. If anyone has an easier way to do this, please post. I have 3 colecovisions which all have some sort of issue. I decided I'd sacrifice the worst looking one and try to do a composite AV mod (as well as power switch cleaning). I grabbed 5-11 under's instructions and went to Radio Shack. Grabbed the potentiometer and transistor no problem, but didn't know which resistor to get. They come in various wattages and I didn't know which watt I should get. 1/4 Watt (or anything higher, such as 1/2 or 1 Watt, etc.) will be good. Also, if you need to substitute parts, there's equations online for that (to double the resistance value, put two the same in series; to halve the resistance value, put two the same in parallel).